The MULTIFAN component USB fan is designed to quietly cool receivers, Xboxs, Playstations, Rokus, Apple TVs, modems, routers, and AV electronics. Features an in-line multi-speed controller with power switch to set the fan’s speed to optimal noise and airflow levels for various environments. 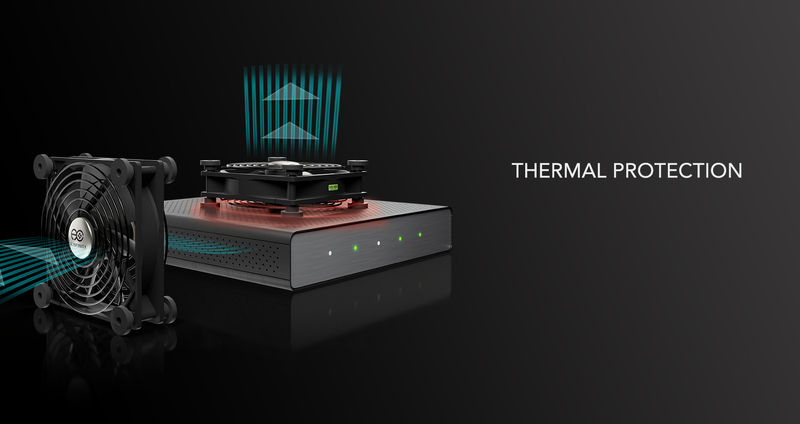 Each fan utilizes dual-ball bearing fans with a PWM motor. These custom motors are designed to minimize motor noises while delivering high airflow.